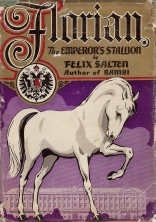 Europe has its pony book industry: besides publishing many of the Pullein-Thompsons’ books in translation, there were very healthy sections of the home-grown market. Not that many European authors have made it into translation here, but there are a few. I’m sure there are many more than I have managed to list here, so please let me know. A note on the Stabenfeldt authors: Stabenfeldt is a European publishing house, selling its books via its own Pony Book Clubs. Not all its titles are translated into English, but I’ve tried to include those here. Stabenfeldt has now closed its English language operations.